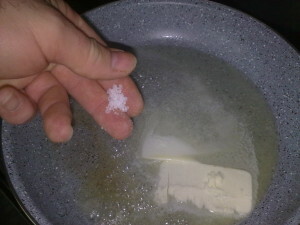 Set butter and marine salt to fry. 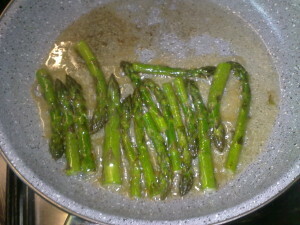 Drop the cleaned asparagus, use only the tender parts. 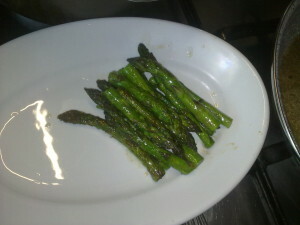 Put the asparagus on a warm plate. 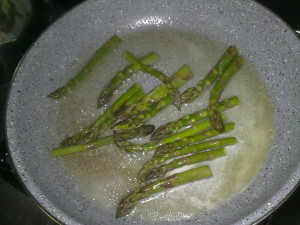 Add one spoon of flour (type 00) to the butter used to cook the asparagus. 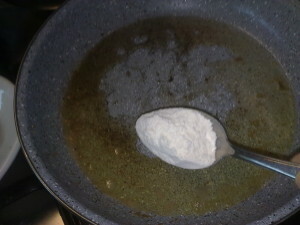 Let the flour fry, stirring it in the butter. 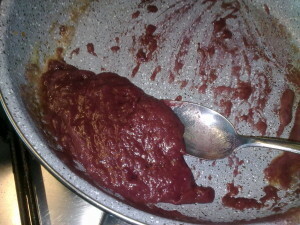 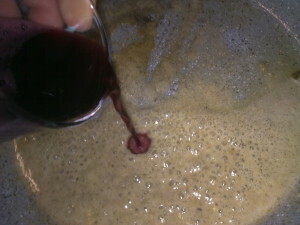 As it is frying add half glass of red wine. 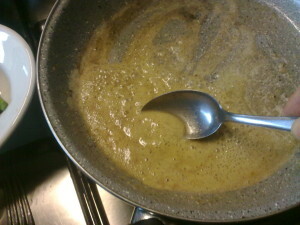 Stir immediately, mixing everything; the sauce obtained will be thick. 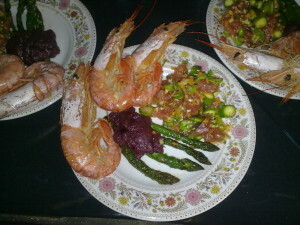 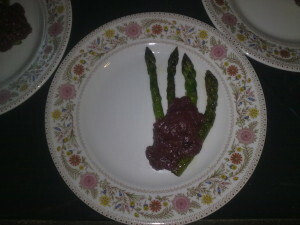 Season the asparagus with the red wine sauce. 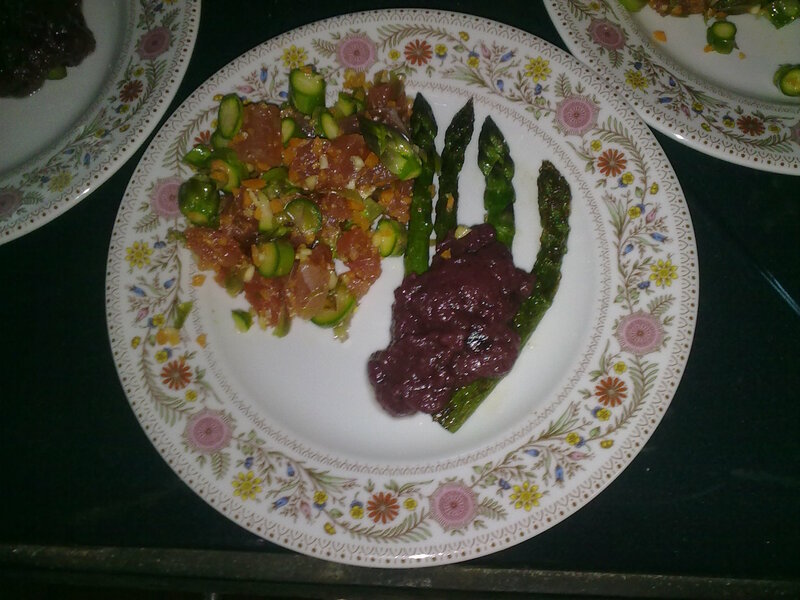 You can add to this appetizer other things to complete your appetizer.